70 Carbonless duplicate sets sequentially numbered. Fully laminated front and back covers permanently bound at side of notebook. White copy (bottom page) perforated. Current Periodic Table on back cover folds over to prevent bleed through between sets. Table of Contents and How to Keep a Laboratory Notebook guidelines included. 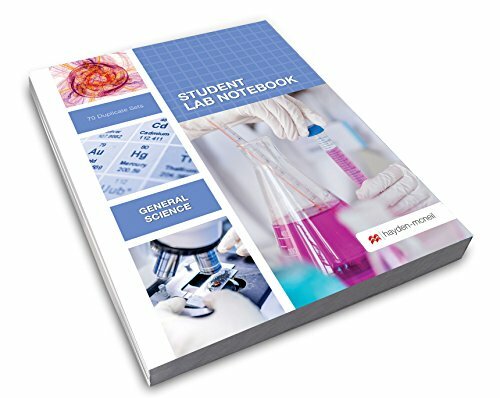 Several reference tables with chemistry, physical, and biological sciences complete this notebook.